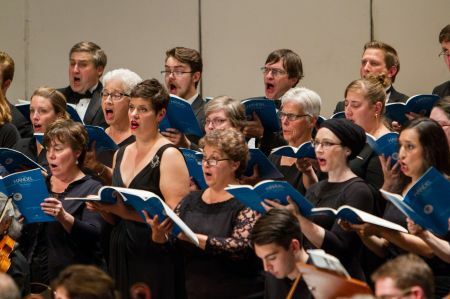 Auditions for Baltimore Choral Arts’ 2019-20 Season are now open for scheduling! The Baltimore Choral Arts Society is one of Maryland's premier cultural institutions. The Symphonic Chorus, Chorus, and Chamber Singers perform throughout the mid-Atlantic region, as well as in Washington, D.C., New York, and in Europe. The first round of auditions will be held on Wednesday, May 15 and Thursday, May 16, starting at 6:30 pm at Grace United Methodist Church, 5407 North Charles Street, Baltimore, MD 21210. You will be assessed on your ability to perform vocal warm-ups and tonal exercises, as well as your sight-reading proficiency. Prepared repertoire is not required for these 10-minute auditions. If you wish to audition, please email karena@baltimorechoralarts.org to schedule your audition time. You won't want to miss the opportunity to sing in this upcoming season! Additional auditions will be held in the last week of August, and scheduling for that round will begin in June. There are no current volunteer opportunites available. If you would like to be considered for volunteer opportunites in our upcoming 2018-19 Season, please email julia@BaltimoreChoralArts.org. The Baltimore Choral Arts Society is one of Maryland’s premier professional cultural institutions. The Symphonic Chorus, Full Chorus, and Chamber Chorus perform throughout the mid-Atlantic region, as well as in Washington, DC, New York, and Europe. Baltimore Choral Arts is seeking an enthusiastic and detail-oriented intern to join our team. This is an ideal opportunity for someone to participate in the strategies and mechanics of a successful non-profit arts organization. This is a part-time, (12-20 hours per week), unpaid position. Positions are available for summer, fall or spring. While this is not a paid position, Baltimore Choral Arts will provide the intern with a comprehensive introduction to all aspects of its organization. 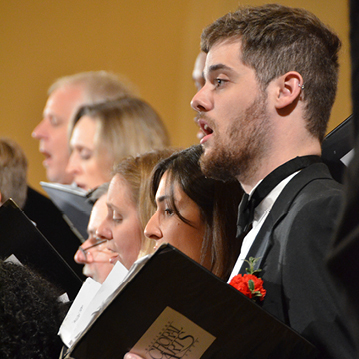 Baltimore Choral Arts is nationally recognized for the quality of its programming and performances and has an experienced, professional staff. By the end of the internship, the intern will have a broad understanding of the inner-workings of a performing arts organization. In return for this education and experience, the intern will be held to the same professional standards as Choral Arts paid employees. At the end of the internship, there will be an intern performance review and the intern will be asked to provide an evaluation of the internship experience. Please email your resume and cover letter to Baltimore Choral Arts Society, at info@BaltimoreChoralArts.org. No phone calls.